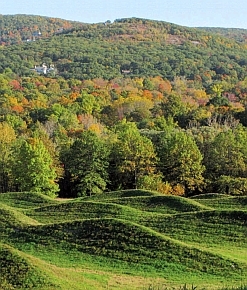 Storm King Wavefield (2008), earthwork covering 4 acres of 11-acre site. Collection of the Storm King Art Center, Mountainville, New York. © Maya Lin, Maya Lin Studio. Photo: Jerry L. Thompson.